Microsoft's motion control Kinect camera tech went on sale in the US late last week, with reports that the new Xbox 360 controller is selling out quickly across the country. As far as the UK launch on Wednesday 10 November this week, Game is the official UK launch partner and is set to open 450 Game and Gamestation shops across the country at midnight the night before (yes, tomorrow!). Microsoft promises us that Mystery special guests will be on hand at Game's flagship Oxford Street store. Microsoft's UK Xbox boss Chris Lewis told MCV, "In terms of allocation I can't meet the demand every single retailer has of me for day one," he said. "But I do think we have what I would call a healthy launch volume for week one. "So if you really want to get your hands on a Kinect this week, the best bet is to head to your local store late tomorrow night. The Kinect camera comes with a copy of Kinect Adventures and will set you back £130. Alternatively you can pick up a Kinect 4GB Xbox 360 S bundle costs £250. Major North American retailers including Best Buy, Target, Amazon, and GameStop are reporting that Kinect is selling out across the country. "We've seen a tremendous amount of excitement and demand for [Kinect] and saw lines at our midnight openings around the country," Best Buy's Chris Homeister told USA Today. "We are currently sold out online, but we continue to work with Microsoft to obtain product shipments now and throughout the holiday season." Target, Amazon.com and GameStop all say they've sold out of individual Kinect units online. Walmart rep Ravi Jarawala added that he thins "there is going to be very high demand for these products," this coming Christmas holiday season. Consumer Reports notes that: "The log-in problem is related to low-level lighting and not directly to players' skin color. "Like the HP webcam, the Kinect camera needs enough light and contrast to determine features in a person's face before it can perform software recognition and log someone into the game console automatically. 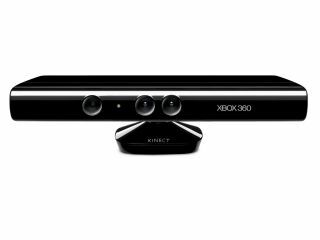 Microsoft hopes to sell 5 million Kinects by the end of 2010.